Graeme and Evan Vaughan, the principals of Helicopter Windows, started working in 1966 in their father’s plastics fabrication business producing a variety of parts including parts for De Havilland Marine and plastic automotive parts for vehicles and motorcycles, including the famous TRIM® ‘weather shields’. Then in 1983 they established their own aircraft parts manufacturing company in conjunction with Gary Ticehurst called Aero Plastics Pty Ltd. . . . Using their substantial design skills Graeme and Evan were able to design superior side window assemblies and rear windows for Aerospatiale’s (now Eurocopter) AS 350 model helicopter. This resulted in Aero Plastics Pty Ltd becoming the exclusive supplier of OEM side window assemblies and rear windows for the French helicopter manufacturer’s AS 350 model. Subsequently, the company also became a supplier to the Australian Defence Force, to refit the existing AS 350 squadrons of the Royal Australian Air Force’s (RAAF) and the Royal Australian Navy with windshields and side front & rear window assemblies. The company came to the notice of BH Pacific Pty Ltd (on Brisbane Airport), who purchased the business in 1987. Graeme and Evan worked in the rebadged company for the next 3 years, at which time the new business was on-sold to Composite Technologies International (CTI) in Singapore. Graeme and Evan, then spent 6 months assisting CTI establish the business in Singapore. Upon completion their restraint of trade period commenced. 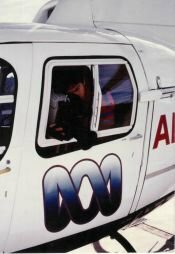 In 1993, Composite Rotorcraft Australia was launched (which subsequently changed its name to Helicopter Windows Pty Ltd) and the business set up in Killarney, Queensland.